FRAIS SPA mixes an authentic spa experience with therapeutic expertise. Located in Downtown Los Angeles, FRAIS SPA is a living place that generates a true connection with its community, its professionals and teaches how to enjoy a healthy and happy life. Where would you find a great DTLA massage? Frais Spa of course! People are finding us on Yelp with these keyword searches "Yelp's Best DTLA Massage" or "Yelp's Best Day Spas" or "Yelp Great Chiropractor in DTLA" or "Acupuncturist near me". Word of mouth is fast becoming a great referral source as more people get to know about the best day spa in downtown LA. You'll find it easy to find since we are close to the ExpoLine Expo Line at the 7th Street Metro station. Gift certificates are available for Father's Day Fathers Day. They would search "massage near me" or "Massage near by" or "chiropractor near me" or "acupuncture near me". Frais Spa is located in a hotel luxury day spa between the South Park and Financial District of downtown LA. People also find us by researching "things to do in downtown LA". You might find a cheap massage downtown la place but you will learn the difference between Frais Spa Massage DTLA and others. A much better day spa experience for a DTLA Massage downtown LA. Find relief from you neck pain, low back pain, disc disk pain, lumbar disc pain, cervical disc pain, numbness, tingling, numbness, strain, sprain, and pulled muscles. Our chiropractor is Dr. Antonio Dale Fernandez DC. Dr. Fernandez has been practicing chiropractic for 16 years. He uses different chiropractic techniques. Depending on the patient, he can use non-force chiropractic, Activator Chiropractic, traction chiropractic, diversified chiropractic , SOT Chiropractic technique. He is known to crack jokes too. He considers chiropractic as an essential part of any wellness plan. Chiropractic adjustments should be performed regularly not just when someone is in pain. He also uses therapeutic exercises with chiropractic visits. If you have any chiropractic questions, you can always consider a chiropractic consultation with Antonio Fernandez Doctor of Chiropractic. Considering you might need massage and chiropractic, you can book a chiropractic massage combo. At Frais Spa, you will be able to get chiropractic in a spa setting. Dr. Fernandez accepts Family Savings Account FSA and Health Savings Account HSA cards to pay for your treatments. He will give you a chiropractic receipt for you. We offer downtown la Massage DTLA with hot stone massage, thai downtown la massage downtown los angeles, pregnancy downtown la massage dtla, lymphatic downtown la massage dtla, swedish downtown la massage dtla, deep tissue downtown la massage, relaxing downtown la massage, sports downtown la massage downtown los angeles, shiatsu downtown la massage downtown los angeles, reflexology dtla massage downtown la, cranial sacral dtla massage downtown la, geriatric dtla massage, psoriasis massage dtla, trigger point massage dtla, and myofascial release dtla massage downtown la. Gift certificates are available for Mother's Day, Mothers Day, and Father's Day Fathers Day. Meet with our Chiropractor, Acupuncturist. We also offer Steam Sauna, Esthetician, DTLA Facial downtown los angeles, Waxing, downtown los angeles Acupuncture DTLA, gentlemen facial, bikini waxing, exfoliation, peel, day spa, body scrub, couples massage downtown los angeles, men masseur, masseuse, DTLA spa specials, Downtown Los Angeles day spa specials, spa resort deals, back pain, neck pain, traction therapy, good chiropractor, dr chiropractor,  cervical , lumbar, herniated disc disk treatments, physical therapy, electrical stimulation, ultrasound therapy. You might find a cheap facial downtown la place but you will learn the difference between Frais Spa Facial DTLA and others. 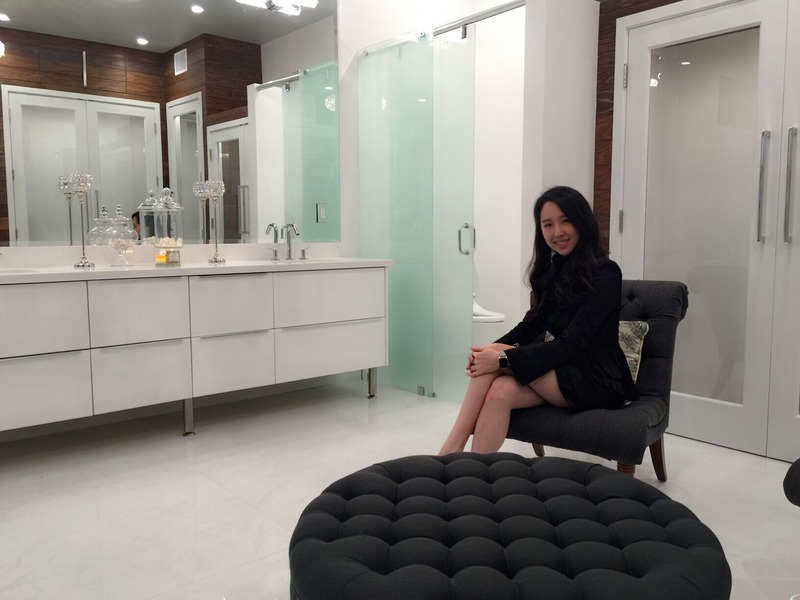 A much better day spa experience for a DTLA Facial downtown LA. We offer downtown la Facial DTLA, a relaxing DTLA facial downtown los angeles. You will feel rejuvenated with a downtown los angeles facial DTLA. When was the last time you had a cleansing DTLA facial downtown LA? Your pores might be feeling clogged up, it's time for an organic downtown LA facial DTLA. You will feel relaxed with a DTLA facial downtown los angeles. A full spa experience with your DTLA facial downtown los angeles. Invite your BFF to have a DTLA massage los angeles while you get your DTLA facial downtown los angeles. Gift certificates are available for Mother's Day, Mothers Day, and Father's Day Fathers Day gentlemen's facial downtown los angeles. Hotel guests from the Biltmore, The Standard, Millenium Biltmore, Westin Bonaventure, Hilton, Level Furnished Living, Ritz-Carlton Hotel, Milner Hotel, Omni, L.A. Hotel Downton, Sheraton Los Angeles Downtown, Luxe City Center Hotel, JW Marriott, Hotel Figueroa, Courtyard Los Angeles L.A. Live, Residence Inn Hotel, Stay On Main Hotel, Intercontinental Hotel, Watermarke, Gas Company Living, Pegasus, and Ace Hotel regularly seek out our spa services. Gift certificates are available for Mother's Day, Mothers Day, and Father's Day Fathers Day. We created FRAIS SPA to be the first connected spa who educates its clients and helps them progress to improve their quality of life. We wanted to redefine the relationship between spa, health professionals, clients and patients, mixing an authentic spa-care experience and therapeutic expertise to provide a complete health benefit. Each chosen for their specific skills, each expert is part of the FRAIS SPA Connected Team. They are committed to bringing exclusive and comprehensive care, following a processed and scientifically proven method. FRAIS SPA generates a true connection with its community and develops relationships between spa-clients and their urban environment. It also innovates in offering a pedagogical methodology, to help people gradually expand their knowledge and boost their own condition. From expert speeches to regular one-to-one health coaching, FRAIS SPA strives to bring the keys for a better quality of health, day after day. I am grateful that I am one step closer to my dream. I 've always believed in awakening self consciousness and creating positive energy so I can be of help to the world. Incorporating my knowledge in beauty and health as Miss Korea, I've never stopped experiencing and experimenting numerous methodologies especially traditional Korean treatments from ancient time. FRAIS SPA generates a true connection with its community and develops relationships between spa-clients and their urban environment. It also innovates in offering a pedagogical methodology, to help people gradually expand their knowledge and boost their own condition. From expert speeches to regular one-to-one health coaching, FRAIS SPA strives to bring the keys for a better quality of health, day after day.. Follow Us on our Page. Our Photos are on Instagram. FRAIS SPA is the first connected spa who educates its clients and helps them progress to improve their quality of life. Mixing an authentic spa-care experience and therapeutic expertise, it provides a complete health benefit, managed by a multidisciplinary and connected team. Located in DTLA, FRAIS SPA is a living place that generates a true connection with its community, its professionals and teaches how to enjoy a healthy and happy life. Copyright @2015 FRAIS SPA — Created with Love by OLIVIER CHATARD STUDIO.